When the city you live in is so well-mapped in your head – with every laneway and street corner worn out by your autopilot gaze – it’s nice to be revived by something new. I love it when a discovery jumpstarts your enthusiasm for the geography around you; how finding a string of unfamiliar gems in your own town can make you feel like you’re on holiday in an entirely different city. 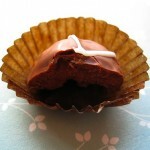 I had one of those days recently, chancing on a lot of great unknown places – and one of the best was Boon Chocolates. 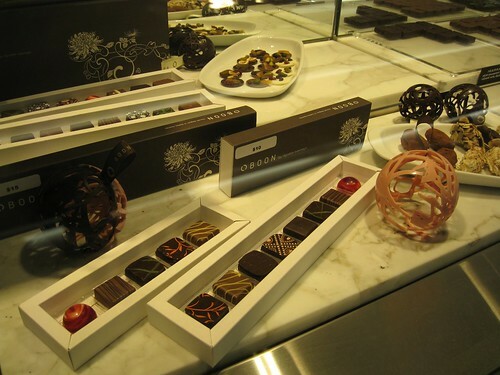 It’s a lovely chocolatier that reminds me of being in Europe – thanks to its luxe touches, eye-stunning displays of handmade chocolates and relaxed, opulent feel. It’s a trend that I wish was as wildfire-popular as, say, Darrell Lea. 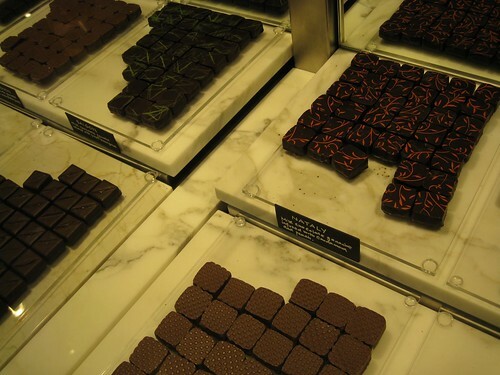 Not that I have deep pockets, but I love places that feel decadent and fancy – where chocolates are handled like luxury goods and you walk away feeling like you’ve spent a million dollars (even if it’s only a few notes from your wallet). The European feel isn’t accidental. 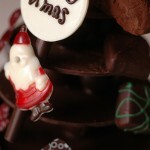 Fanny, who makes the chocolates, learnt her craft in Belgium and the boutique is named after where she studied. Her brother, Alex, is a food science graduate who also works at Boon. Each time I’ve been there, he’s kindly given me a small cup of hot chocolate to help “soothe” my brain into choc-deciding mode. It’s an awesome shot of cocoa and definitely fires my circuits. Once done selecting, I skip out with a beautiful box of handmade chocolates ($10 for small, $30 for large), slung in a pretty bag. 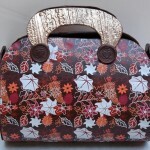 It’s swish and so are the sweets slotted inside. One stand-out is the Mira, a striking red dome that looks more like jewellery than something you eat – it hides a creamy white chocolate ganache, and a subtle dash of mountain pepper berries and strawberries. Also flavoursome is the Nataly, a lively burst of peach and cardamom and the popular Balsamico, an adventurous blend of strawberry and balsamic vinegar. 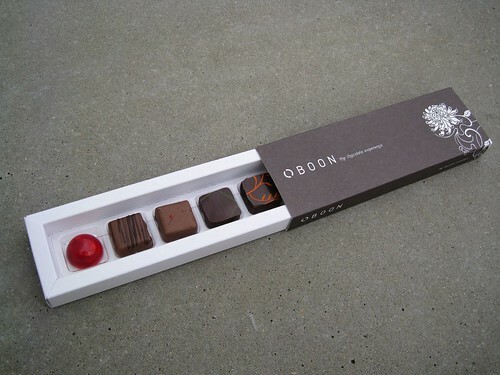 My favourite so far is the Saigon: not so much the taste of a fallen city, but the zestiness of lemongrass tucked inside a milk chocolate ganache. I once asked how long you can store the chocolates for and Alex said four weeks – which seems unusually long for handmade chocolate. But, in the end, it doesn’t matter: on my first trip, I cleaned out my box in two days; on my second, I finished half of my stash within three blocks of Boon’s doorstep. 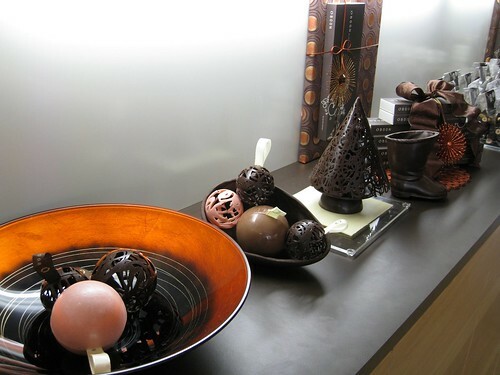 There’s a tea salon upstairs too, if you like to savour your sweets with a cup of cocoa goodness or tea. You can also pick a chocolate tasting plate (you’d be a steel-hearted person to say no to that) and Belgian waffles. The chocolatier stays open fairly late – 10.30pm on Friday and Saturday nights – making it a nice alternative to a seedy bar for an evening date. I think it’d also be a fine place for an afternoon treat (or, if you have a super-friendly office, a work meeting where the first agenda item is your sweet tooth). Boon Chocolates is my new favourite store: an idea transported from a European city that – hopefully – will thrive and spark in this home town. OMG OMG I am definitely going to BOON! I never knew such a little beauty existed. Mmmmmmm sounds lovely! I walked past it the other night (after delish tapas at Kika’s) but it was closed. 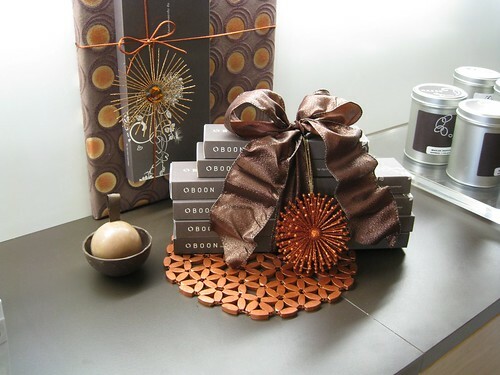 Hope you enjoy your choco-spree at Boon, Linda! My new favourite choc there is the one with ‘spekulaas’ (spelling? 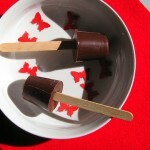 ), praline and gingerbread. Amaze!! Marley, I know exactly what you mean. I got to the point where I was buying handmade chocolate that would only last a few days, with no stomach big enough to accommodate the growing stash. I actually ended up (for shame) having just chocolate for breakfast, cos I couldn’t fit it into my mealtimes in any other way. Oh yes, Michael Cluizel, good pick, Marley! I like how everything in there feels and looks so swish. I think you can get his 100 % cocoa block at the Essential Ingredient (well, was the case last time I went) and I definitely have seem it in other spots. Not so often, but still around. Have been heaps curious about Kika’s, will definitely have to check it out! Hi, I just visited your weblog and read few pages of desserts. i have visited Sydney twice and there are alot of places to see. I defenetely look forward to visit one of your listings during my next visit to Australia!!! Next Darlinghurst recommendation for a Francophile like yourself has to be Croissant D’Or – 117 Macleay St – the macaroons are fantastic. Isn’t Boon exactly what Sydney needed? 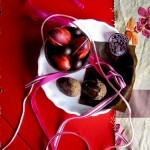 I’ve met Fanny & Alex as well and they’re so generous with their time – explaining the chocolates and their ingredients. My personal fave is the balsamico – infused with balsamic vinegar.